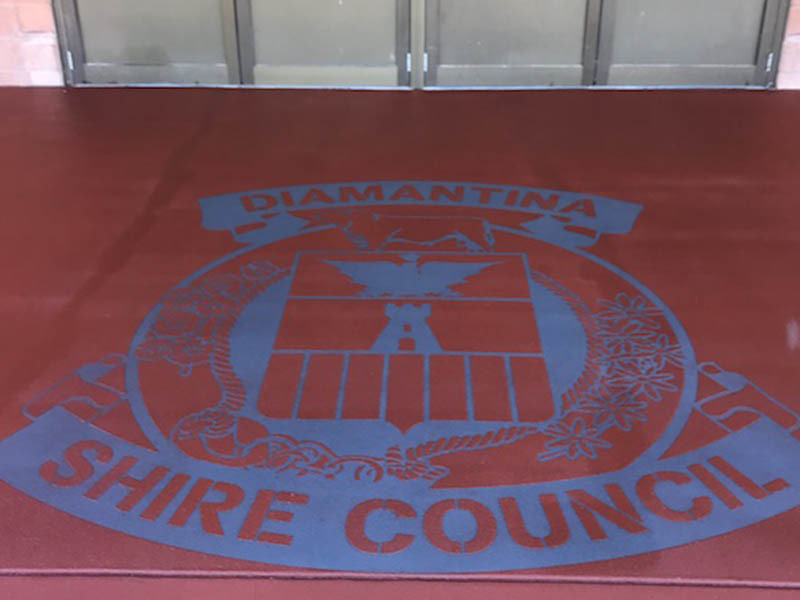 Another completed job. 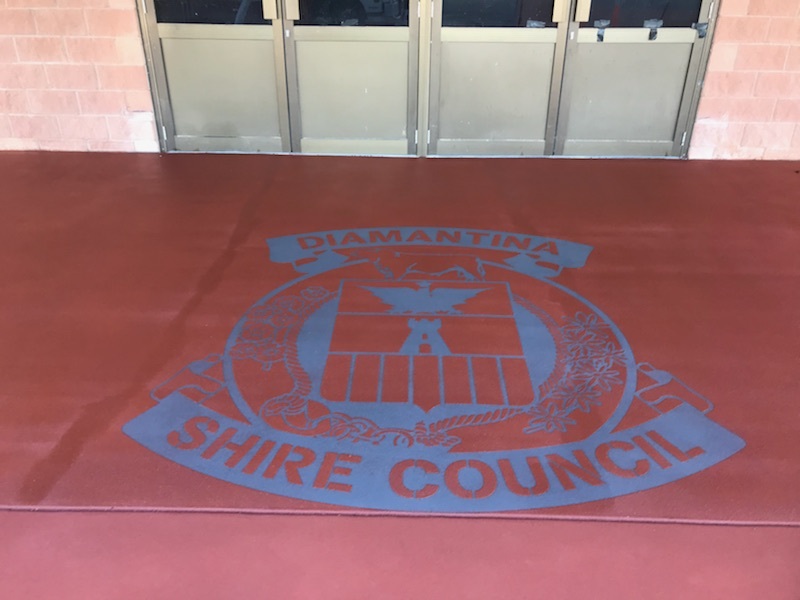 This job took place 1780km from Toowoomba. 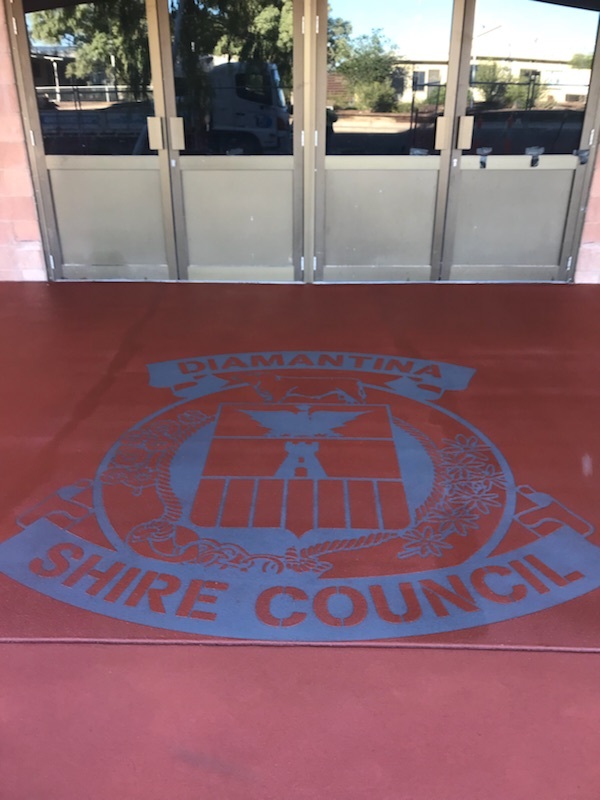 It included pouring natural concrete slabs, then sprayed on the colour and the Diamantina Shire Council’s logo in three places in a separate colour.